At Paris Perfect we’ve gathered a loyal following for our short-term vacation rentals. 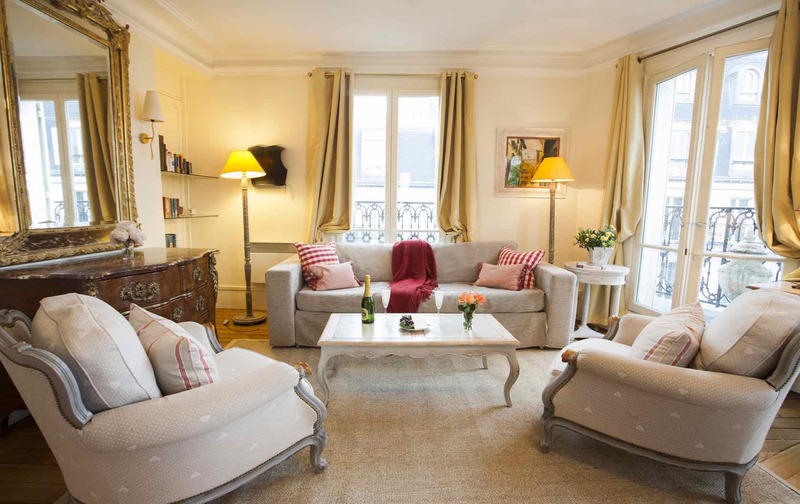 But did you know we also offer a fantastic collection of long-term furnished rentals in Paris? If you’d like a chic apartment for an extended stay in the city, read on. Want to live like a local in the best neighborhoods? 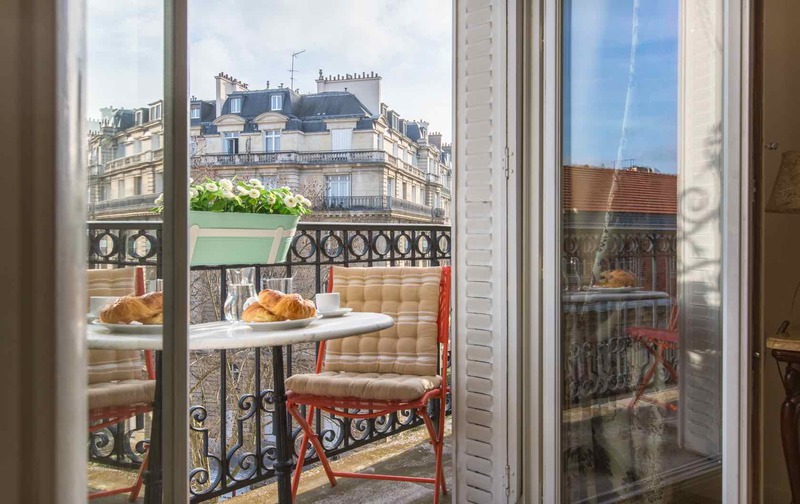 You can really settle in and get to know your area with our long-term furnished rentals in Paris. They usually require a minimum stay, which varies from a month to longer periods, so check terms and conditions with our reservations team. You’ll enjoy a more settled trip, though, without the disruption of changing apartments. 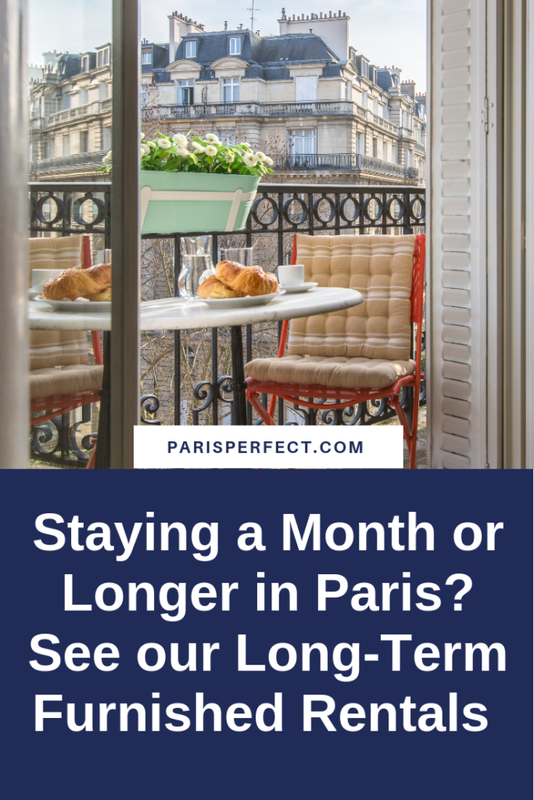 Even better, with special monthly rates on select apartments, you can benefit from great savings on longer stays in Paris. Plus many include free WiFi or complimentary calls to landlines and cells in the US, Canada or elsewhere. 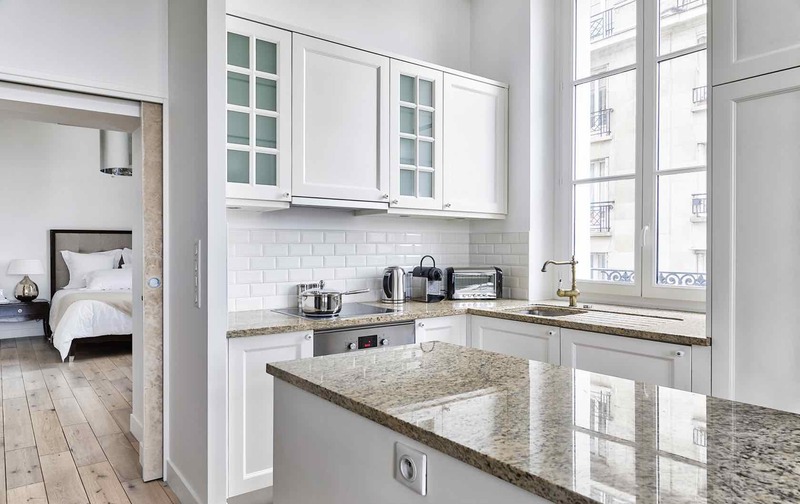 Handpicked for style, comfort and convenience, our long-term furnished rentals in Paris feature generous living spaces and kitchens that encourage dining in. They’re available in all sizes, to suit solo travelers, couples or larger groups of family and friends. Gorgeously decorated and fully furnished, they come with everything you need to make the most of an extended visit. We’ve got apartments in the most sought-after districts, giving you lots of central location options. 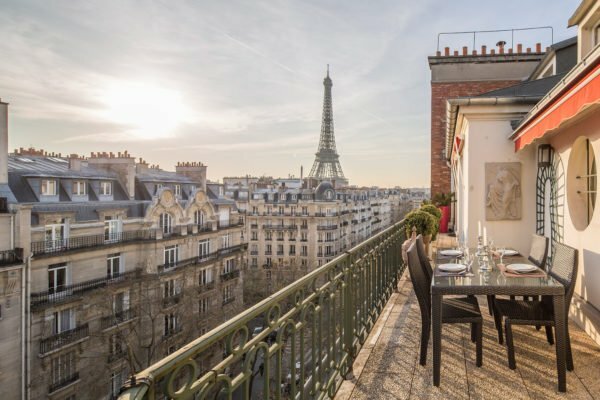 Here are 10 of the best for a true taste of Parisian living. 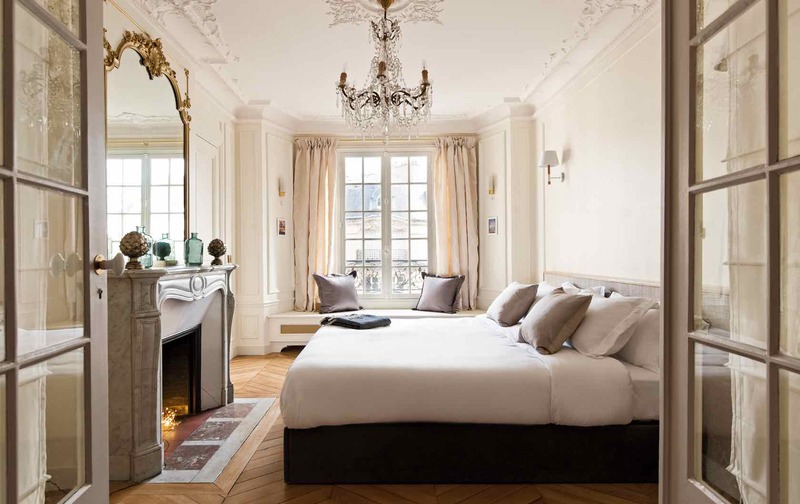 With pretty chandeliers, gilt-framed mirrors and French windows, Aloxe is très chic. This elegant fifth-floor apartment in the 15th arrondissement offers two bedrooms and two bathrooms, sleeping six (a sofa converts to a queen bed). Enjoy the spacious open-plan living/dining area, where contemporary furniture complements heritage architecture. 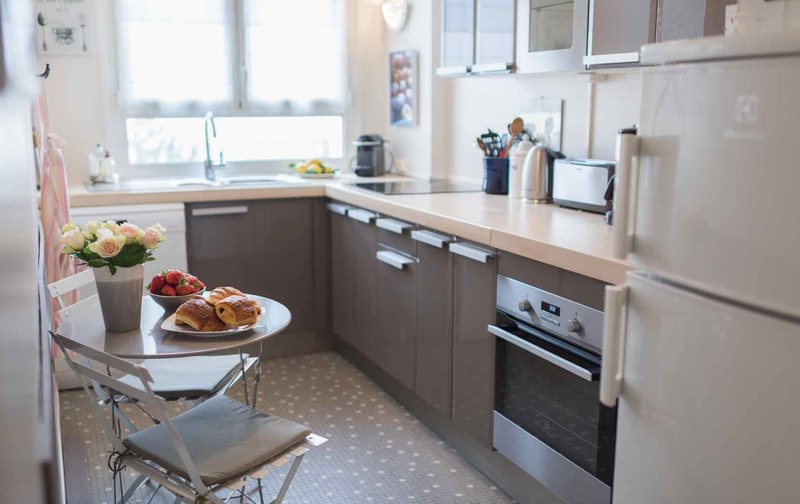 A fully equipped kitchen beckons, and a cute balcony table for blissful breakfasts. 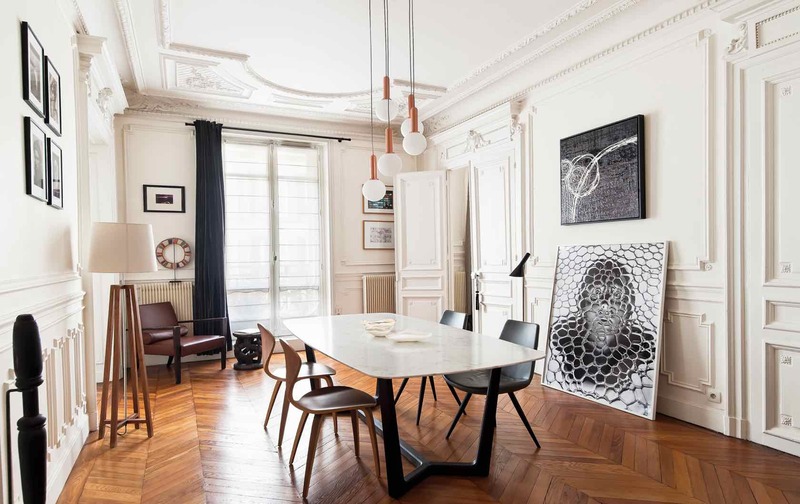 The Gamay apartment is located in the heart of the 7th arrondissement, not far from the Champs de Mars gardens and Eiffel Tower. The apartment has two bedrooms and 1.5 bathrooms and accommodates up to four guests. Both of the bedrooms overlook a quiet inner courtyard, for the most peaceful of nights. The master bedroom has a luxurious king-size bed, while the second bedroom has two twins. On a cobblestone street in the 15th, Carignan is near Rue du Commerce for charming boutiques, bakeries and cafés. This sixth-floor apartment in a modern building sleeps four, with two bedrooms, one bathroom and a remodeled kitchen. Bright, comfy interiors feel like a home away from home. Off the tourist radar, you’ll discover a very Parisian neighborhood loved by locals. There’s a heritage-modern elegance to this beautifully designed, spacious apartment, which combines traditional interiors with contemporary furniture. 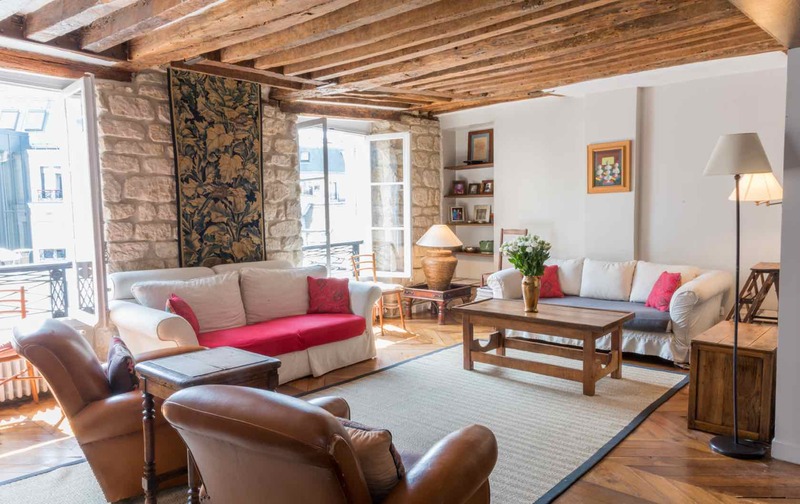 A stroll from arts hub the Centre Pompidou and Enfants Rouges market, second-floor Cavailles sleeps five with three bedrooms. Iconic chairs, bold photography and eye-catching accessories make this a must for design fans. The neutral palette and herringbone wooden floors add French chic. A block from the Eiffel Tower, fifth-floor Chardonnay sleeps five, with two bedrooms and a living room sofa bed. 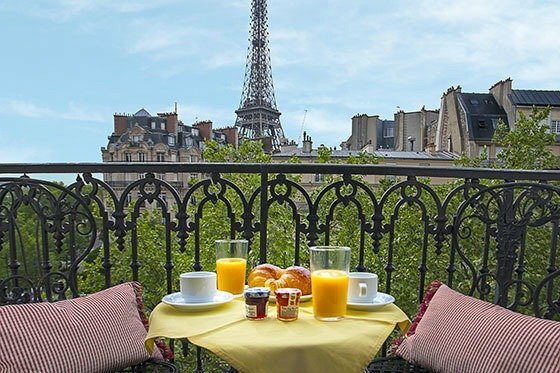 The balcony view of the fabled tower will thrill your heart, with an alfresco table for breakfast croissants and coffee. The apartment has starred in French decor magazines, and the 7th neighborhood is dotted with covetable shops, cafés and open-air markets. 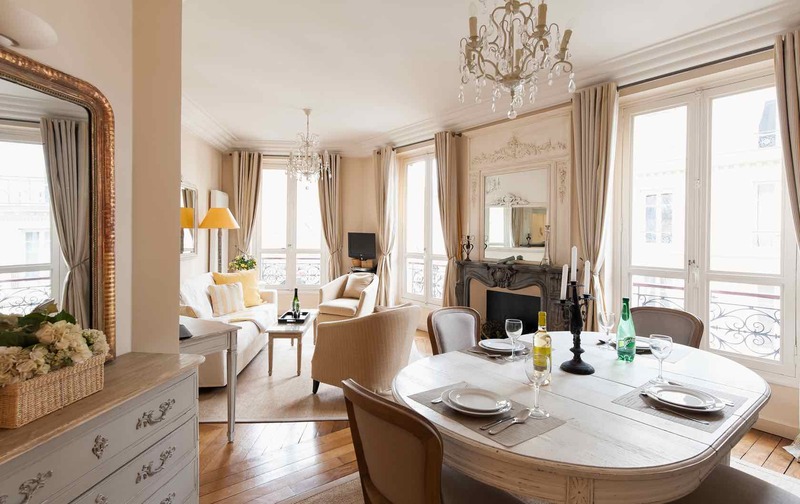 Looking for long-term furnished rentals in Paris? 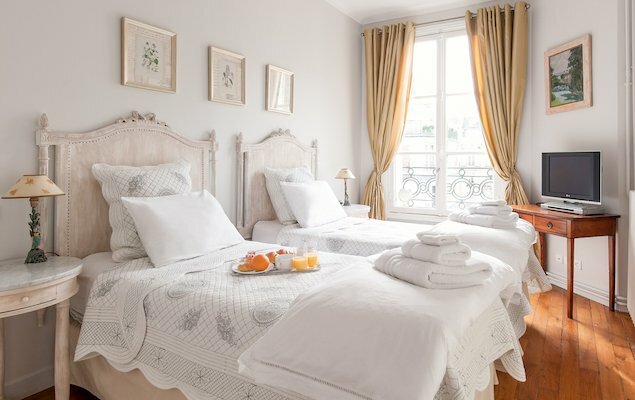 Sleeping six, elegant French country-style apartment Côtes du Rhône is a tempting option. It’s set in the central 7th neighborhood, which has a village-like feel, full of pretty shops, restaurants, cafés and markets. 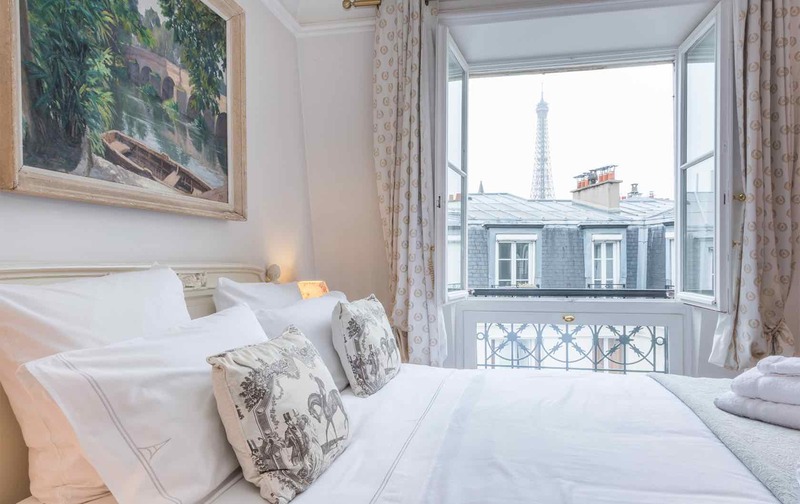 With two bedrooms, a lounge sofa bed and one bathroom, this comfy fourth-floor stay even offers glittery Eiffel Tower views. In the heart of desirable Saint-Germain, fourth-floor Dolcetto’s original features include rugged stone walls and wooden beams. Inviting leather armchairs, vibrant red cushions and parquet floors inject style to the spacious living areas. It sleeps four, with one bedroom, a sofa bed in the den and trundle bed. Historic charm and a fabulous setting in the 6th? Just say oui! With Eiffel Tower views from the bedroom and kitchen, romantic escape Quincy hosts five guests. 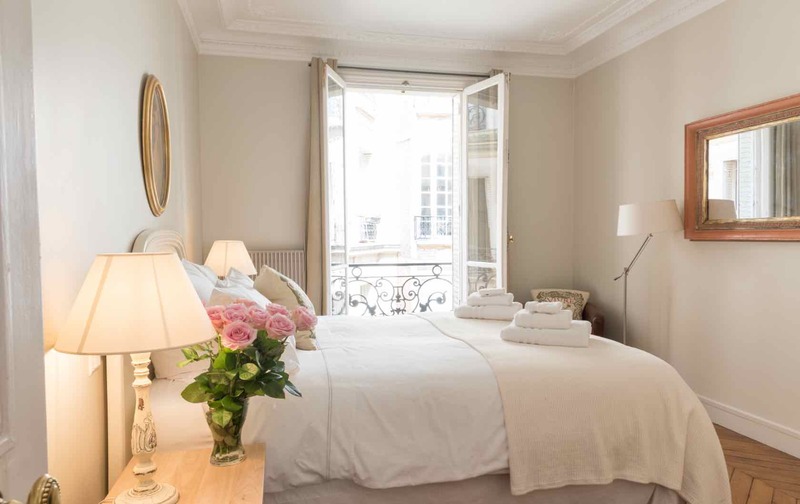 Just a stroll from the Champs de Mars gardens, this elegant, top-floor stay is traditional but has recently been renovated. There’s one bedroom and convertible sofa beds in the living and sitting rooms, with sliding doors to ensure privacy. Generous natural light completes the picture. Ideal for a couple or solo traveler, contemporary second-floor apartment Saint Marc sleeps two in central district Le Marais. Alongside a bedroom and bathroom, it has a stylish open-plan living space, with an on-trend blue and white palette and huge modular sofa. It’s located on Île Saint-Louis, an island in the River Seine, handy for Notre-Dame Cathedral and Sainte-Chapelle chapel. Reminiscent of a classy Parisian home, elegant, first-floor Saint-Péray teams ornate decor with a neutral wood and white background. The open-plan kitchen and dining area flows seamlessly into the comfy living zone. It sleeps four, care of one bedroom and a sofa in the lounge that converts to a double bed. The Marais location is fabulous for shopping and dining. If outstanding Eiffel Tower views are on your wish list, you’ll be delighted when you step into fifth-floor Sancerre. Sleeping up to six with two bedrooms, a living room sofa bed, and two bathrooms, you’re guaranteed a comfy stay. The thoughtfully decorated, completely renovated rooms are a wow, but the real star is the wraparound balcony for unforgettable panoramas. Cheers dears! 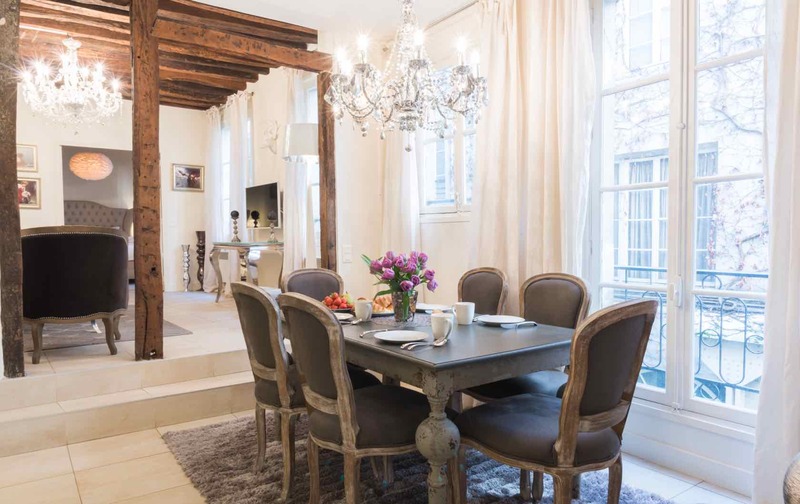 For more long-term furnished rentals in Paris, see Paris Perfect’s online collection. Call 1-888-520-2087 from the USA or email [email protected] for our apartment reservation team. Posted on Tuesday, November 13th, 2018 at 2:32 am in Apartment Rentals. You can follow any responses to this entry through the RSS 2.0 feed. You can skip to the end and leave a response. Pinging is currently not allowed. 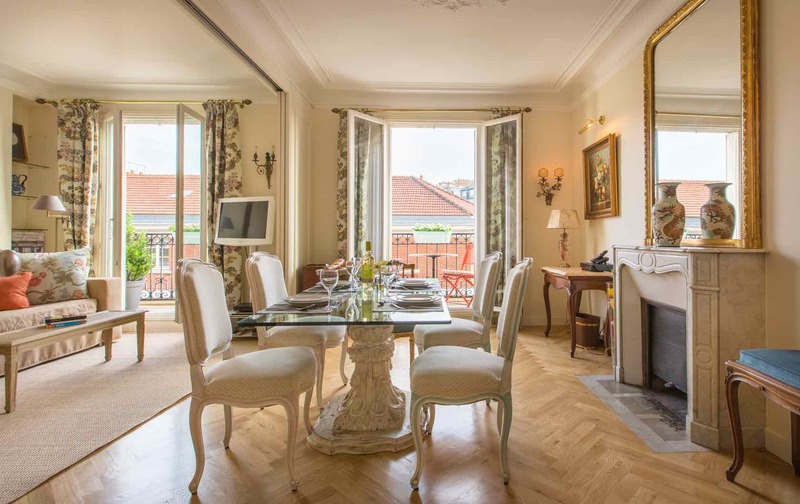 Our Most Family Friendly Apartment Rentals in Paris Live Like a Local in the Gamay, a Long-Term Rental in Paris 6 Paris Perfect stays with seductive Eiffel Tower views Live the Parisian Dream – Spend Half a Year in Paris!